A special piece of furniture that will hold pride of place in any home. 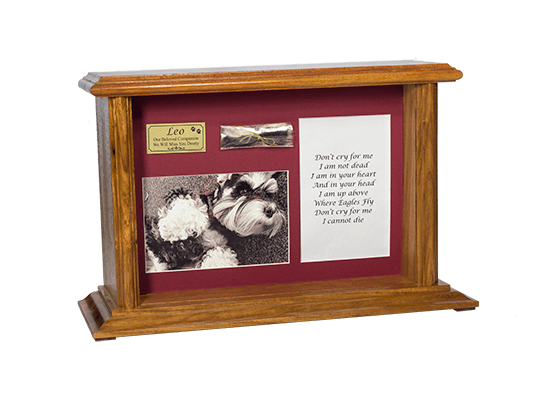 Your baby’s ashes are placed carefully in the back of the cabinet and you can place any style of memorial in the front area. We can set your cabinet up for you with a special mat board photo and poem as shown in the photo. Available in two colours.